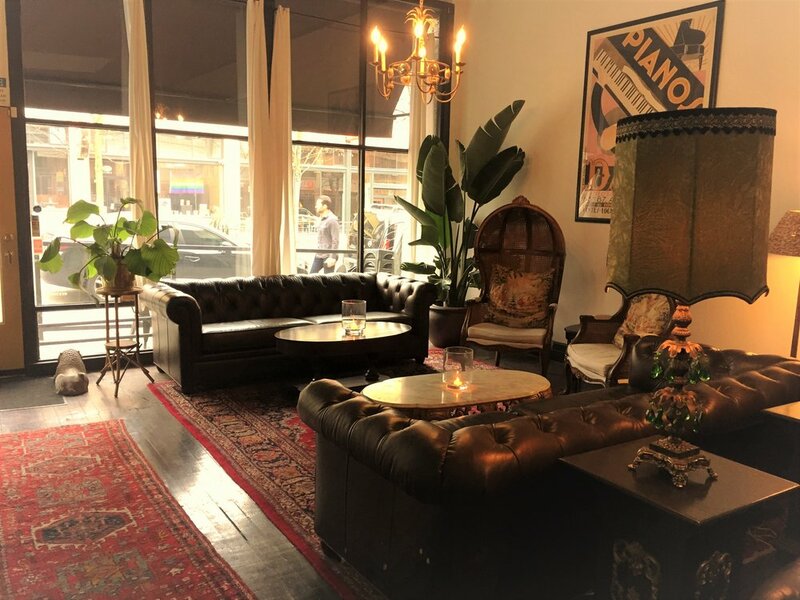 With oriental rugs, palm trees and leather sofas, Belmont captures the lavish eccentricity of London’s iconic social clubs like The Groucho and Soho House in a uniquely Seattle way. Seattle has a rich cocktail landscape and we’re excited to add our unique perspective. We believe a cocktail should be a singular moment of transporting enjoyment. Our menu is a mix of unique creations and elevated versions of timeless classics. We have a collection of exceptional global wines with rotating glasses from Washington, Oregon, France, Italy and Spain. We’re passionate about small plate cuisine. From tapas such as Tuscan meatballs and deviled eggs to platters of local and European cheeses and charcuterie. We offer light fare to be enjoyed with drinks in a lounge atmosphere. Happy Hour daily 5 to 7.